So trendy and so simple, I’ve hesitated writing about them at all, but the full recipe (in all its “really? is that ALL you do?”) glory has been demanded post haste, so here we go! 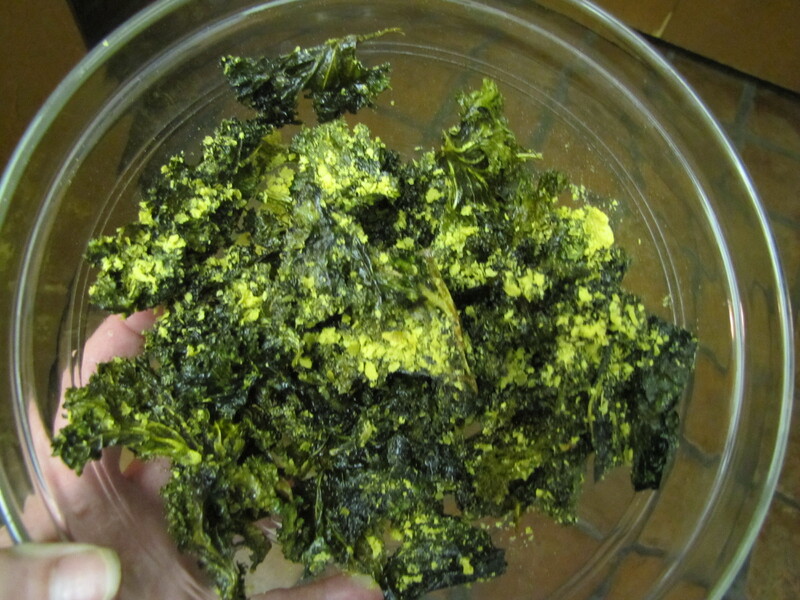 Ah, kale chips. OK, I’ll come clean and admit that even I have spent more than my fair share of cold hard cash on these scrumptious excuses to indulge a crunchy-oily-salty craving or even (gasp!) a crispy-sweet-chocolate craving. I mean, hey, it’s KALE! And I knew the trend had reached wild heights this past New Year’s when my family arrived, was rifling about in my kitchen, stumbled on a (very) large container of homemade kale chips and ATE THEM ALL. It was astonishing. 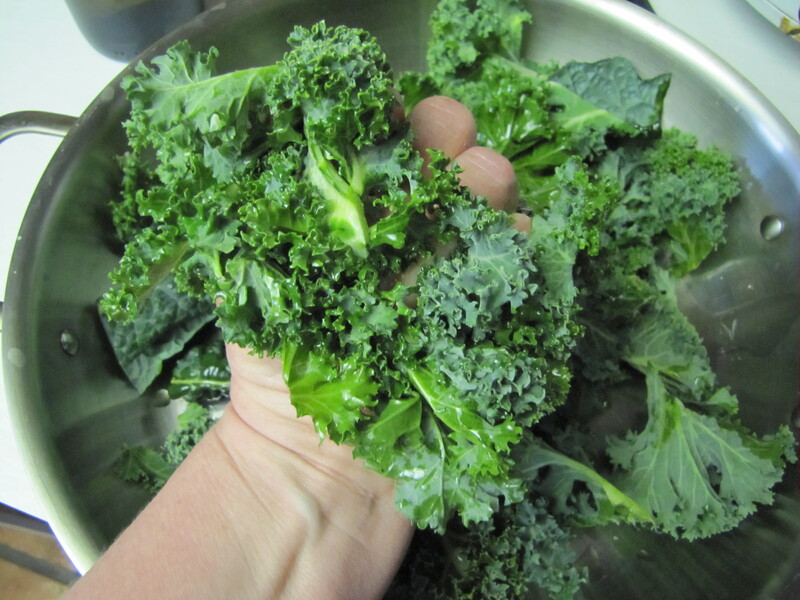 I really don’t think many dishes that actually FEATURE kale inspire actual squeals of delight (“OOOOOH! Kale Chips!”). Well, check and observe dear reader. Here’s one more crazy fact. Teenagers eat them. OK, enough advertising, let’s get down to it! First off, the kale. Selection of what variety to use is perhaps the most critical step to achieving crispy crunchy disappearing perfection. And what I’m about to tell you is sure to blow your mind. 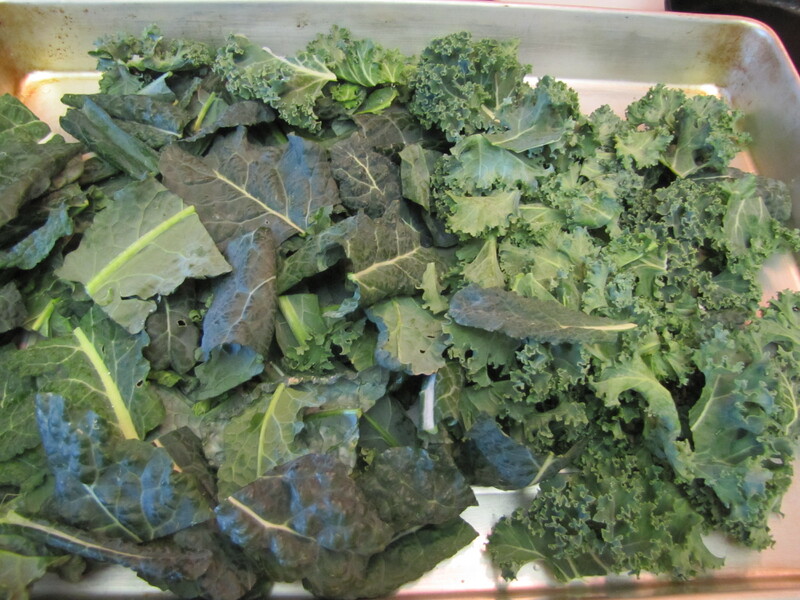 The BEST variety for kale chips is my LEAST FAVORITE green to use for any other kale-like application (sautéing, braising, stuffing, soup-ing, salads etc. ): Curly Kale! Also known as Scots Kale, or even decorative kale, this is the variety that adorned the ice cubes in the salad bar of the restaurant you ate at with your grandparents 30 years ago. A winter staple around the world, we Tucsonans are blessed to have it adorning our plates practically 9 months of the year! But just in case you don’t have any curly kale, or don’t have enough, I find that dinosaur kale and Red Russian kale are also quite nice. As much Curly Kale as you have, stems removed. Dino &/or Red Russian Kale added to fill your baking container. For Dino Kale I only remove the last inch or so of stem. Oil. 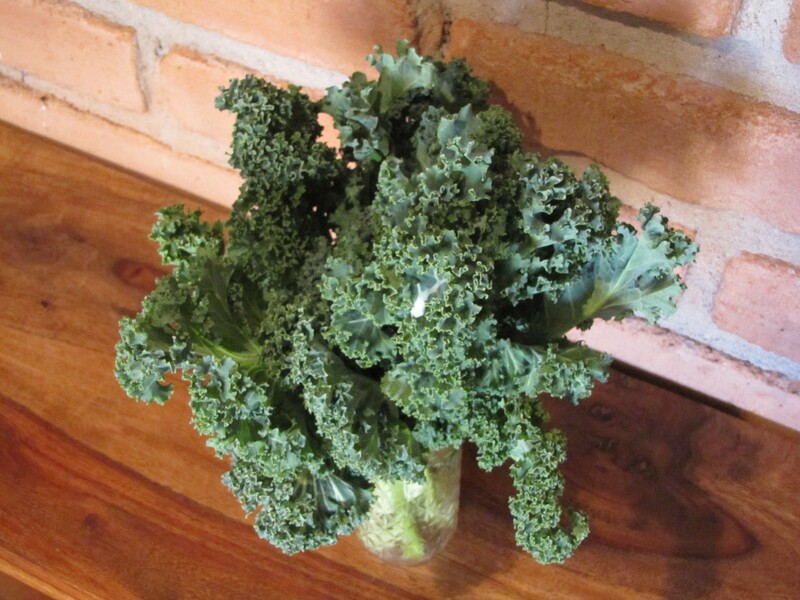 1-2T (depending on how much kale you have). Olive oil for savory chips, coconut oil for sweet chips. Optional: a drizzle of honey, maple, agave or other sort of syrup if you’re making sweet chips. Optional: chili powder, lime juice, or other inspired spices if you’re going a savory direction. Schmunch the oil, salt (and other optional ingredients) well together with kale. It really is important to get in there and really squeeze (i.e. schmunch) the kale to get it thoroughly coated. Otherwise, you really don’t get ultimate crispiness and you end up using too much oil. Whatever inspires you! Whatever intrigues your family! My final job is to comment here about why I do this recipe at a crazy low temp. Most kale chip recipes out there go for speed results at a high temp. However, I have found that patience merits a better reward. Low temps = live foods = happy gullets. So anyway, schmunch well and Finish Divinely.